Styles allow separating formatting from content, so you can give different look to your documents by applying another set of styles. 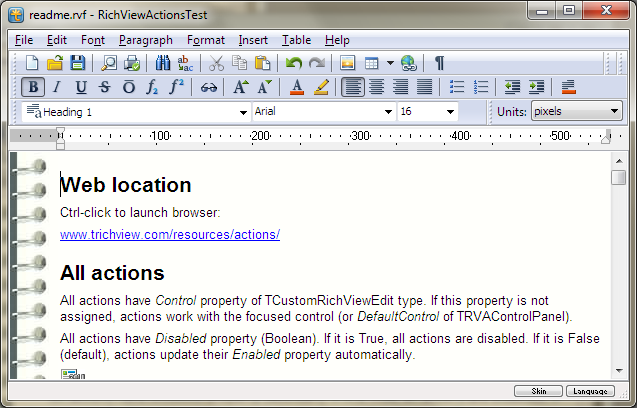 There are three main modes for defining text and paragraph attributes in TRichView. In this mode, you can define some set of text and paragraph attributes (in TextStyles and ParaStyles properties of TRVStyle component), and this set is not changed while the application works. 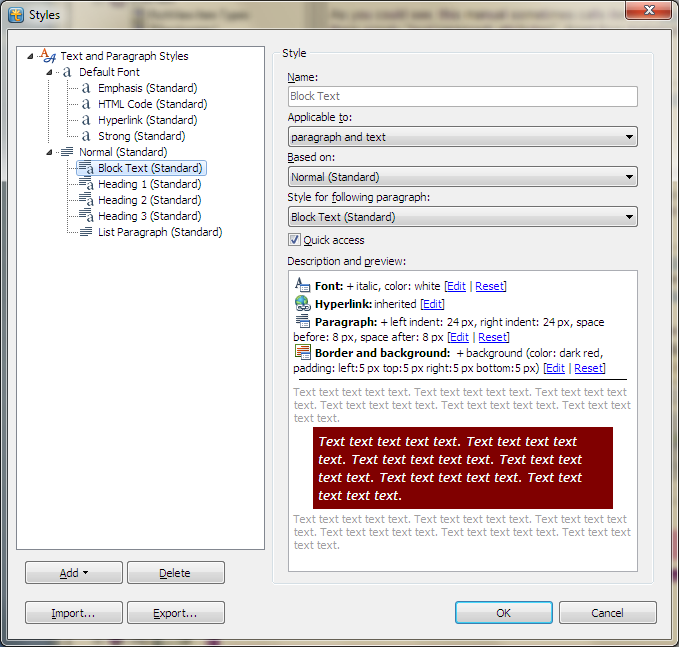 Each item in TextStyles and ParaStyles has its own name and a special meaning. When you need to import RTF or RVF file, text and paragraph attributes in this file are mapped to the most similar existing text and paragraph attributes. 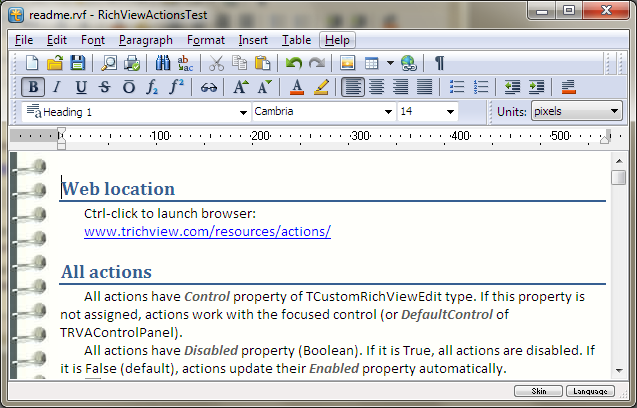 You can change properties of TextStyles and ParaStyles, and documents receive new look (see MultiDemo demo). when creating multiple documents with restricted formatting (for example, dictionary or encyclopedia articles). 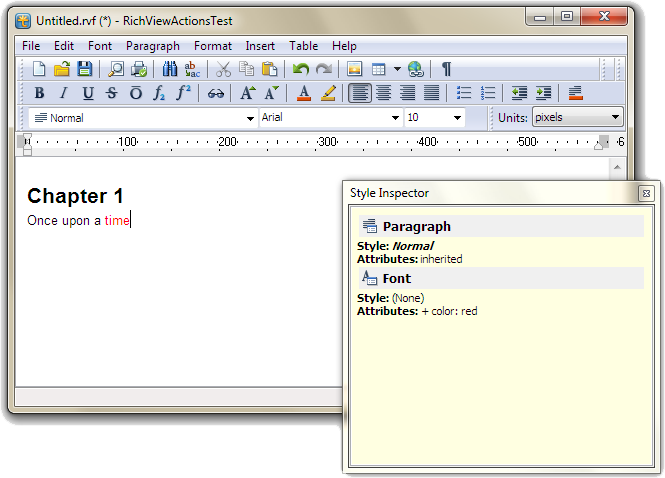 In this mode, you can have some initial set of items in TextStyles and ParaStyles; but the most of items are added while the application works. For example, new items may be added when inserting RVF or RTF files/streams, or when applying changes to the selection (such as “make bold” or “align to center”). Items of TextStyles and ParaStyles work like direct text/paragraph attributes rather than styles: the most of them do not have a special unique name or meaning. A subset of items can be marked as “standard styles” and processed like in the first mode. However, this is not a complete solution for styles, because all other items are completely independent of them: if you change properties of standard styles, only fragments formatted using them are changed; all other parts of the document are unstyled. “Style templates” do not define text and paragraph properties directly. 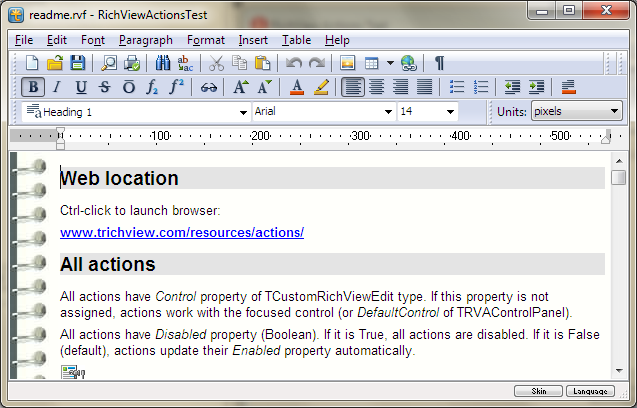 Instead, they provide a mechanism for modifying TextStyles and ParaStyles. may inherit text and paragraph properties from a parent “style template”. You can apply a new set of “style templates” to existing documents to change their appearance. 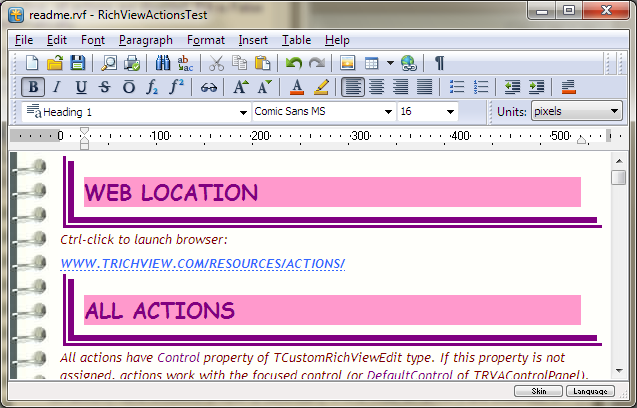 “Style templates” are supported by RichViewActions. They provide a dialog for a style management (adding, deleting, editing styles) and a combo box for applying styles to the selection. How to style use style templates (overview and examples). How to use the same collection of style templates in all DB records.